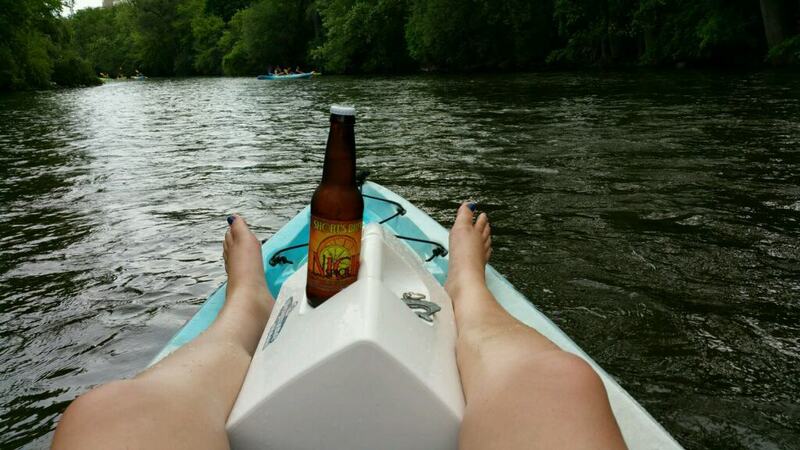 Saturdays in Ann Arbor (especially for a #MittenTrip) are made for kayaks (in our case, a tandem) and the Huron River. I grew up in parts of Northern Michigan where lakes were plenty, so rivers were never had the need to pay much attention to. Not only that, but I also never had access to a kayak, so the idea of renting one was pretty daunting for this particular adventure. Getting my head around the idea that I needed to get this little boat down the river without hurting anyone else, or the boat itself? HA! In every Ann Arbor publication that I perused, online or otherwise, I saw mention of recreation on the Huron River. Aside from the Detroit River and the occasionally suburban lake, Southeast Michigan always seemed, to me, a bit waterless when compared with the other parts of the Mitten. The Ann Arbor Area Convention & Visitors Bureau website led me straight to Argo Canoe Livery, located about ten minutes from downtown AA. The livery is part of the Argo Nature Area, which boasts twenty-two acres of trails and picnic areas with riverside views. At the livery, you can launch your own boat if you brought it, but rentals are very affordable. The two-person kayak was $25, and we elected to take the most common beginning paddler jaunt to Gallup Canoe Livery, an estimated 1.5 hours downriver. Enjoying a Short’s Brewing Nicie Spicie on the Huron River. Photo by Lyndsay Israel. 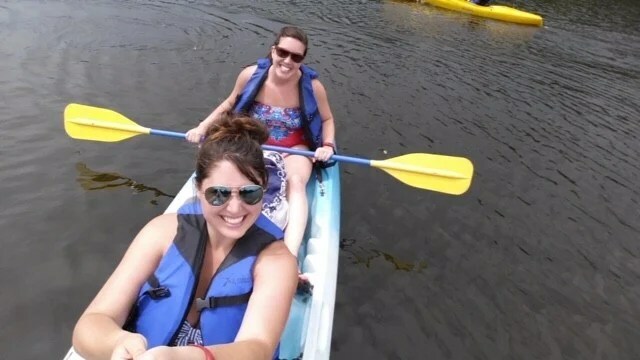 Kayaking the Huron River! Photo courtesy of Lyndsay Israel. Even though the Argo Livery was very well-organized, it’s a very popular place for locals to meet up and cool off, so it was busy. Parking is difficult (which seems to be an Ann Arbor thing) and you should plan to wait in line to organize waivers and payment. Once you have your yellow slip though, it’s pretty fast to hop in a boat. Right off the bat, you run into the Argo Cascades, nine mini-rapids made of rock chutes and a faster current. I was terrified… but it was awesome! After the cascades, it’s an easy paddle to shallow or resting points along the way to Gallup. Despite the dozens of people piling into tubes and rafts, the river was peaceful and it was rare that we got close to any other paddlers. The water was clear and not too cold… couldn’t ask for better once the rain decided to hold off. Besides my personal positive experience on the Huron River, it was recently awarded the honor of becoming the 18th National Water Trail, which will bring serious paddlers from all over the world to test the 104-mile long potential. For more cool Ann Arbor Area paddling, check out the Full Moon Paddle from Pickerel Lake to Crooked Lake on July 31, 2015, If that roster is full, try the Huron – it was a great way to spend a Saturday in Ann Arbor. Tagged Ann Arbor, Ann Arbor Area Convention & Visitors Bureau, Argo Canoe Livery, Argo Cascades, canoe, Crooked Lake, Full Moon Paddle, Gallup Canoe Livery, Gallup Park, huron river, kayak, mittentrip, national water trail, paddle, Pickerel Lake, Zingerman'.